There is a theme card that’s on the inside of the front lid of the box. The Cost: $19.99 a month + free shipping. Save with 3, 6, and 12-month subscriptions. COUPON: Use code MSALOVE to save $4 off your 3, 6, and 12-month subscriptions! This month’s mini-poster says, “ENCOURAGED women encourage women,” and on the back of the mini-poster it says, “Encouraged women build each other up they don’t tear each other down.” Their mini-posters always has a scripture or quote that fits the theme. I may laminate or frame and pass on to a friend for encouragement. The reminder sticker says, “Trust your struggle;” an important reminder. All too often I can get caught up in my struggles and ask “why” and not trust the process of my struggles and how they can be beneficial to me and assist me in my journey. Have I not commanded you? Be Strong and of good courage; do not be afraid, nor be dismayed, for the LORD your God is with you wherever you go. I received a silver charm bracelet with ten charms. I can wear the bracelet by selecting a charm I need to encourage me for that day, it can be one or two charms, or I can opt to wear all the charms on the bracelet. The ten charms say, “hope,” “comfort,” “humor,” protection,” “courage,” “love,” “patience,” “faith,” “strength,” and “joy.” Also, the bracelet came with a silver pouch with “Take What You Need” on the front of the pouch. When I put all ten charms on the thin bracelet chain, it was heavy and didn’t lay/ hang right. I then tried it with a few charms, and the charms still seemed too heavy for the bracelet. I like the concept of wearing a charm that represents the encouragement I need for that day. But, overall, I wasn’t pleased with the weight of the chain and how the charms hung on the bracelet. To everything there is a season, A time for every purpose under heaven. Verdict: Loved + Blessed box delivers, the majority of the time, by sending me encouraging scriptures and products to elevate my soul and allow me to think and dissect my spiritual journey. This month’s box was lackluster, and I definitely have become burnt out and not that excited for the mini-poster and sticker that’s included in the box each month. While I get encouraged from the quotes and scriptures, it seems I accumulate excess paper products that tend to sit in a drawer. I have framed some of the mini poster’s from the box and referred to the scriptures. I mentioned earlier a case or scrapbook for the stickers, and scriptures cards that can be in one place to refer to would be nice and a frame included for the mini-poster if you choose to frame, would be a great addition. The box usually falls around the $19.99 cost, which includes free shipping. The bracelet had no manufacture info, and I believe its exclusive to Love + Blessed. Can you still get this box if you sign up today? No, order by the 21st of each month to get the next month’s box. 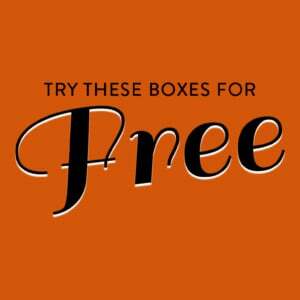 If you sign up today, you will receive the November box. Coupon – Use code MSALOVE to save $4 off your 3, 6, and 12-month subscriptions! 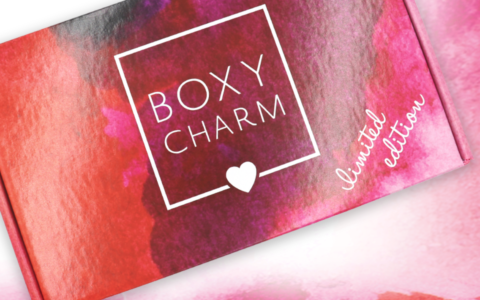 Check out all our Love + Blessed reviews and the Lifestyle Subscription Box Directory! Have you tried Loved + Blessed yet? Nichelle has been obsessed with subscription boxes since 2012, when she received an email to subscribe to PopSugar Must Have Box. Since then, she has subscribed to Glossybox, Allure Beauty Box and GoodeBox which is now called GoodeBeing Box. She currently subscribes to: Birchbox, FabFitFun, Essence Beauty Box, PopSugar Must Have Mini Box, and Play! by Sephora. She is an avid admirer of PopSugar, so much so that she had an office tour of their San Francisco headquarters in April of 2015. How do subscribers rate Loved + Blessed? Do you subscribe to Loved + Blessed? Add your rating now! I like the concept of the bracelet – it thematically fits really well with David’s five stones and sling, too – but it’s too bad it doesn’t fit right! Maybe the charms can be repurposed somehow – drape a couple charms looped onto some embroidery thread around a candle, for example. The bracelet charms would be cute placed on a necklace chain (one or two at a time). "Yikes, will look into it I must have been under a rock during that time :/"
"You can always try putting them in a Ziploc baggie when you break it open, that way if it doesn't make a clean b..."
GlossyBox Limited Edition Mother’s Day Box Coming Soon + Spoilers! "The items are adorable and magical!"